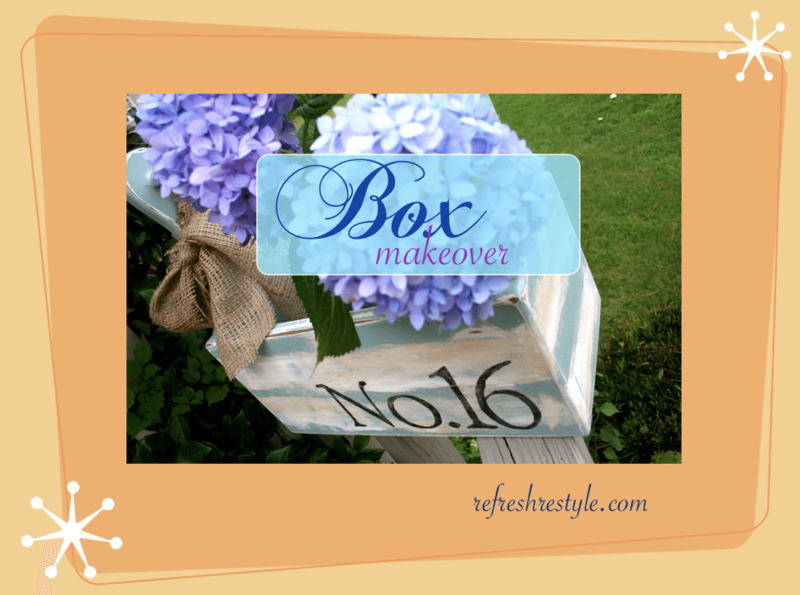 I finally found a tool box shaped box to makeover. I told her that I thought it needed a number. I used a stencil and craft paint, then I roughed it up with sandpaper. A tool box never looked so good! This is such a pretty idea! I think I’d plunk mine right in the center of the dining room table for a centerpiece! Beautiful really beautiful remake, you did it wonderfully, and the result stands out, thank you for sharing, I really love it. I love the way you put together your posts Debbie and that tool box is too cute, you’ve done a lovely job! 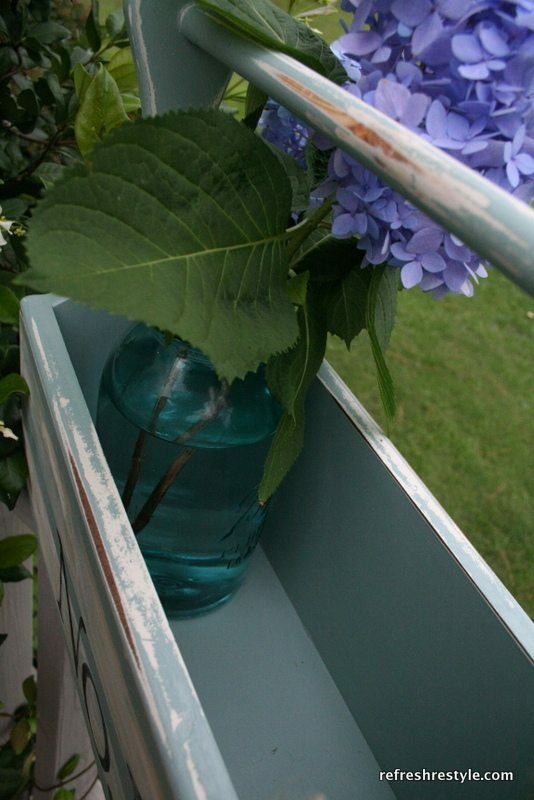 Love the toolbox…just placed hydrangeas in my wooden box too….I so love hydrangeas!…. Love the new look, Debbie. Ahhhh…love the colors and stripes…so CUTE!! 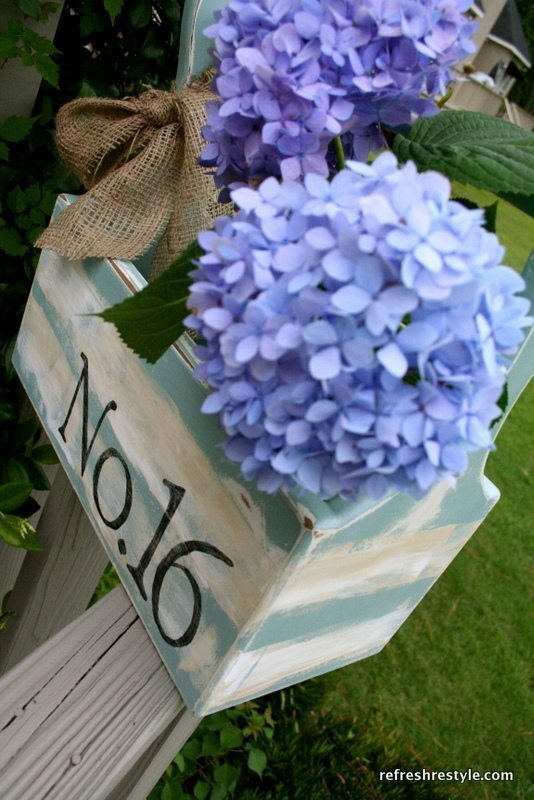 That is such a pretty project and I do love the blue hydrangea. I hope you are enjoying your Sunday! Oh I just love this Debbie! You have been a very busy bee! Oh my goodness, I LOVE THIS!!! Debbie, extra fabulous as always! I’m a sucker for numbers too. And I’m also intrigued by your collage with that ripped piece of paper instructions … can I find that on PicMonkey? This turned out so cute! I love the beachy feel. 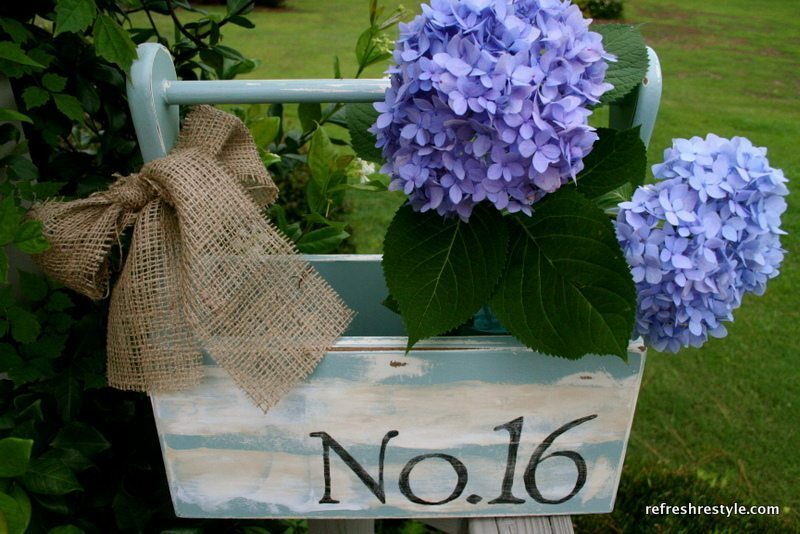 Numbers, burlap, toolbox, hydrangeas – what’s not to like! How perfect! I saw an old tool box like that at a yardsale…now kicking myself for passing it by! One crafty momma and a good number picking daughter 😉 What a team! It’s real cute Debbie. Pretty, fresh color too! Nice save of the tool box!! It looks so much fresher now! I have a weird obsession with old tool totes. 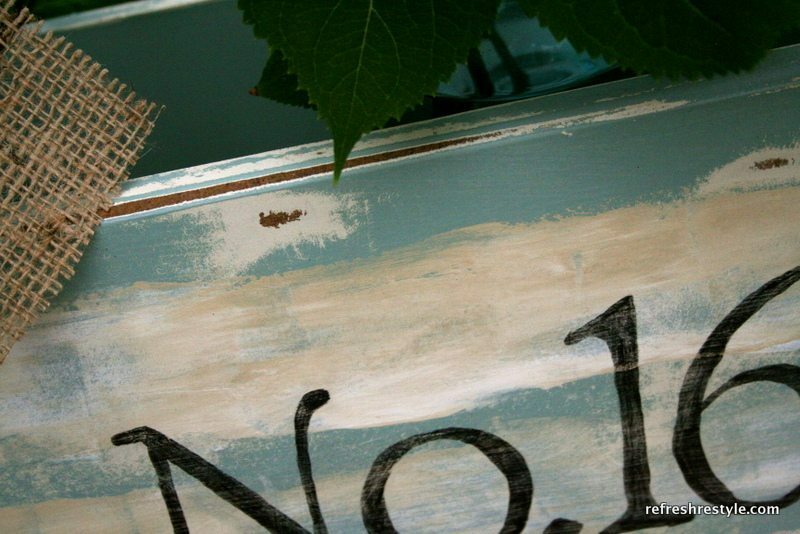 You always have the cutest projects…Love the colors and that burlap bow! Debbie, you’re always up to something fantastic. I love the new look I just might steal this idea from you! Love the transformation, but especially love the hydrangea. Very cute I think one of those would look perfect here. I love that you text back and forth your projects with your daughter. My mom and I are always sending pictures of projects by text asking for suggestions etc. How fun! Soooo cute!! You’ve done it again Debbie. Your craftiness is amazing! ok darlin – this is DARLING! Love the redo (yes those flowers had led their life and had to be painted over) great job! This turned out really cute you have been one busy lady .. 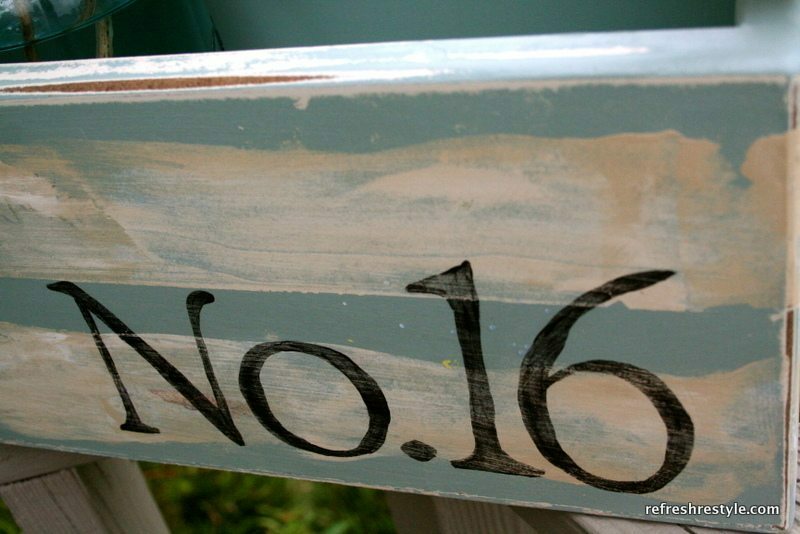 This turned out really cute and it sort of has a slight beachy feel from the colors and striping…love it! This is just beautiful, Debbie! 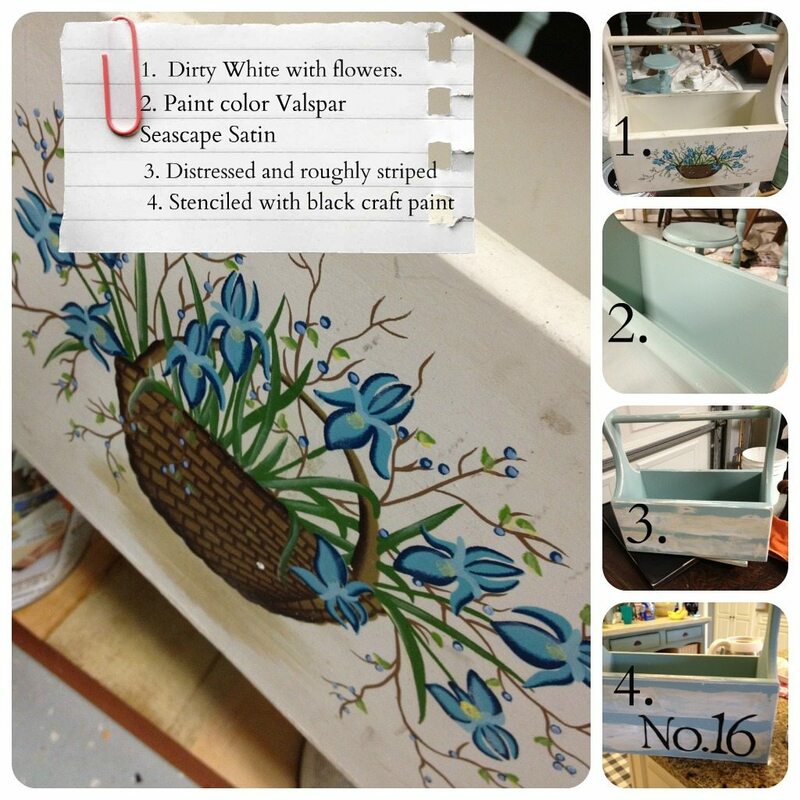 The color, the distressing, the stenciling…it all combines to make this one pretty transformation. Nice transformation – I would love to find one of those wooden toolboxes – just haven’t found one at a decent price!